In the world of blogging and business, WordPress has become a very popular term to know. WordPress has been around for quite some time. In fact, for almost 15 years, bloggers, video bloggers, and businesses have been using the services that it provides. Why is it so popular? It is one of the easiest sites to use on the Internet today. If someone wants to start a blog or share their business on a website, WordPress is one way to make that happen. WordPress is not just for those who are great with computers and coding. It helps to have these skills, but WordPress helps people to branch out and discover that they can build a blog and manage their content all on their own. Small businesses use it, celebrities, news organizations, and even Fortune 500 companies. Any average person who has an idea can use it and that is what makes it so fun to use! For those of us who are not looking for an expensive website, WordPress is very attractive. It is completely free to use and start a blog. There are add-ons that you can purchase, but all that is needed is a computer, a password, and the motivation to post on WordPress on a regular basis. Anyone on the planet has access to WordPress and can build their own content whenever they want. WordPress is owned by a non-profit organization and they are the company that gives them the freedom and helps users to get the free content that they want. One of the great things about WordPress is that it is used in educational systems and governments all over the world. The United States government uses WordPress at the federal level and state level. Educational systems use it in their schools and administrations. There are plugins that give students the chance to use WordPress as a way to study and a way to get to know other students from across the globe. WordPress may have begun in English, but now it is available in over 60 languages and in 40 countries. In fact, there is an event held every year called WordCamp that helps users of WordPress celebrate it. The different plugins for WordPress all have different themes and are compatible with about 68 languages. 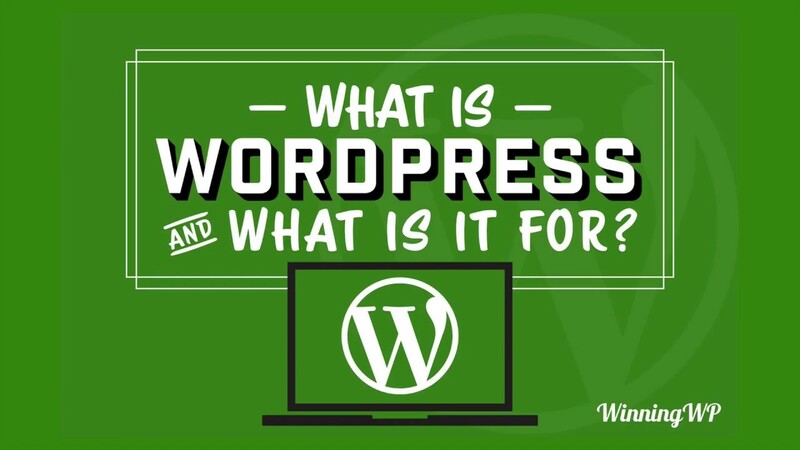 WordPress has a huge, worldwide community and it is constantly growing as more and more people find out how they can use it to promote their ideas, their products, and their businesses. WordPress has quite a bit to offer everyone. For managing content, it is one of the easiest platforms to use and free. The possibilities are endless when it comes to WordPress.